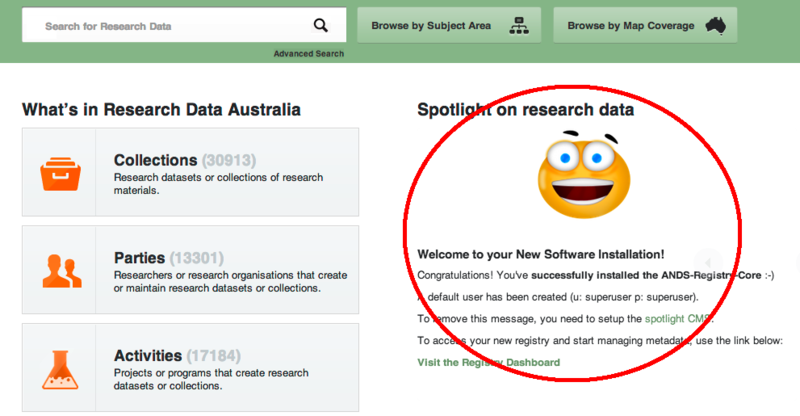 After installing the ANDS Registry the "Spotlight on Research" rotator on the home page will display default text. To customise the rotator create a 'spotlight.json' file with write permissions in the assets/shared/spotlight directory. There will be a sample file in this directory called spotlight.json.sample. To initialised the spotlight CMS editor with no entries the spotlight.json file should contain the following text. 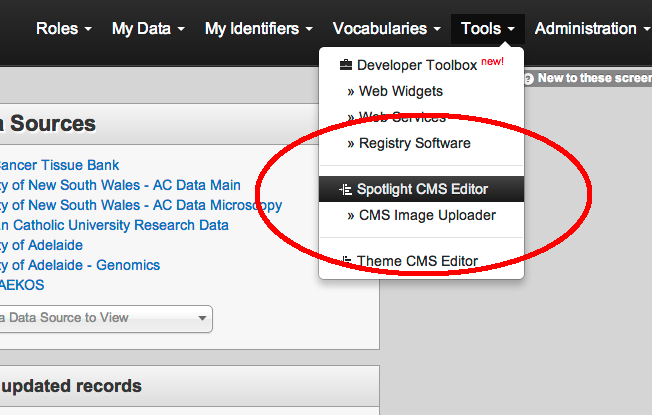 Once this file has been created you can add entries to the rotator by selecting the "Spotlight CMS Editor" from the "Tools" menu of the Registry Dashboard. Fill in the form with the required details and click on the "Add New" button on the bottom of the form. To add another entry click on the 'Add New' link from the left hand menu. The new entries will now be automatically displayed on the home page instead of the default text. 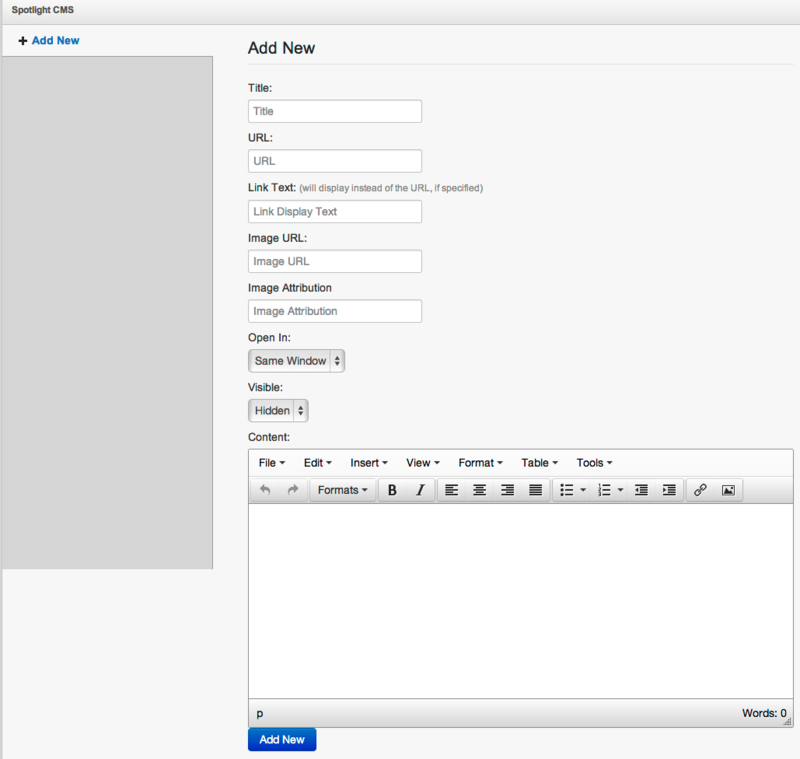 To edit any entry select it from the list in the left hand menu of the Spotlight CMS Editor. To delete an entry select it from the list in the left hand menu of the Spotlight CMS Editor and click 'delete' at the bottom of the form.